I created Suisho Shizuku PC which is only one in the world based on Fujitsu LIFEBOOK WU2/B3 (ja) . my god, that’s so cool, how did you do that? Some sort of…stickers? No. It is not stickers. I used print service by Fujitsu official. And good service by Fujitsu. 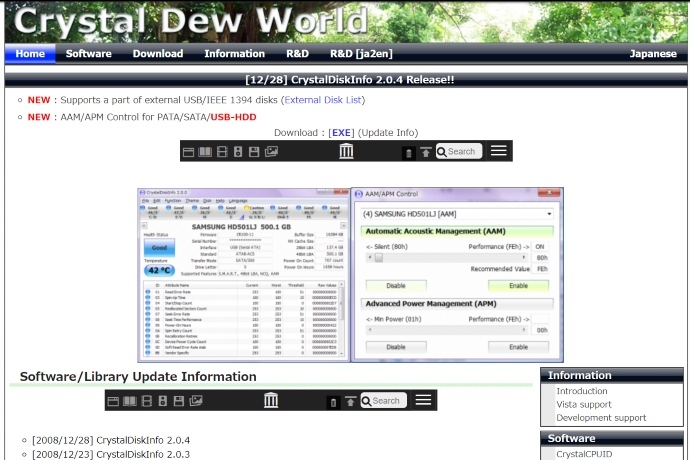 Since I love small, portable programs I’ve been using portable, standard editions of CrystalDiskInfo and CrystalDiskMark. But despite its bigger size, I’m using portable Shizuku edition now, because she sure is kawaii.